As the US Federal Reserve meets today to decide whether its next blast of quantitative easing should be $1 trillion or a more cautious $500bn, it does so knowing that China and the emerging world view the policy as an attempt to drive down the dollar. 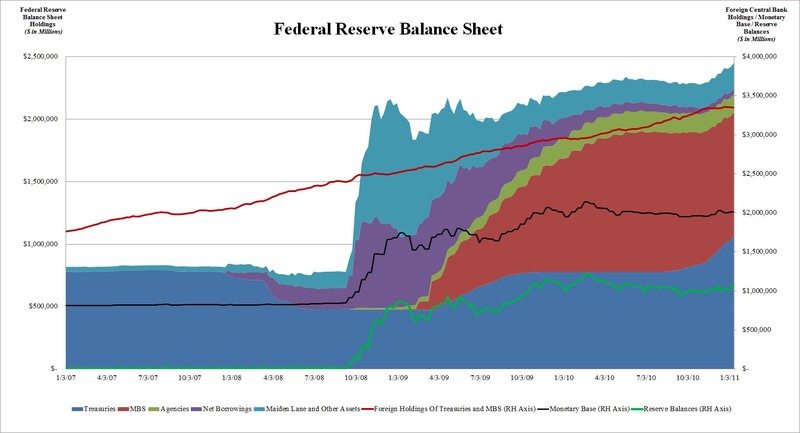 The Fed’s “QE2” risks accelerating the demise of the dollar-based currency system, perhaps leading to an unstable tripod with the euro and yuan, or a hybrid gold standard, or a multi-metal “bancor” along lines proposed by John Maynard Keynes in the 1940s. China’s commerce ministry fired an irate broadside against Washington on Monday. “The continued and drastic US dollar depreciation recently has led countries including Japan, South Korea, and Thailand to intervene in the currency market, intensifying a ‘currency war’. In the mid-term, the US dollar will continue to weaken and gaming between major currencies will escalate,” it said. WASHINGTON (Reuters) – A string of Federal Reserve officials on Tuesday indicated the central bank will soon offer further monetary stimulus to the economy, with one saying $100 billion a month in bond buys may be appropriate. While internal differences on the unconventional policy are still evident, the consensus view at the Fed appears to be that the economy is weak enough to warrant further support, most likely through increased purchases of Treasury debt. The U.S. economy is expected to have grown just 1.9 percent in the third quarter, a level considered too low to bring down unemployment. The debt purchases would help lower long-term interest rates in the hope of boosting demand.